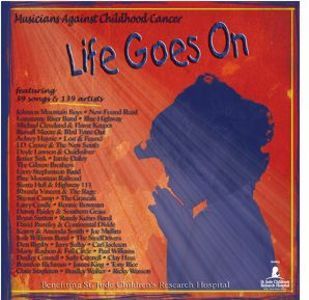 Nashville, TN -- Rural Rhythm Records is proud to announce the highly anticipated new album release, Life Goes On by the Musicians Against Childhood Cancer (MACC) is now released. This new 2 CD set is now available for purchase at Amazon.com, County Sales, Ernest Tubb Records Shops, the Musicians Against Childhood Cancer website, Rural Rhythm Records, directly through the participating artists and many more locations. Life Goes On was recorded live during the annual MACC festivals from 2006 - 2011 with the exception of the new single "Life Goes On" that was recorded at Randy Kohrs' Slack Key Studio in Nashville, TN. 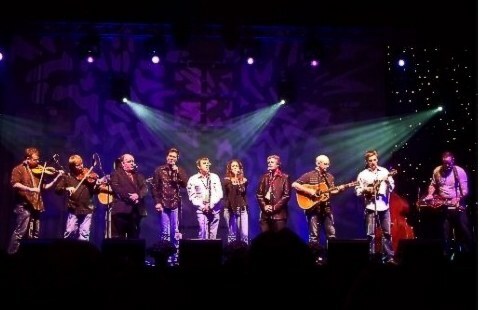 Many bluegrass music artists contributed to the project. Rural Rhythm Records and Musicians Against Childhood Cancer (MACC) are joining forces to release an upcoming new album, Life Goes On in 2012. This highly anticipated new project will include entertaining performances recorded live during annual MACC festivals during the past several years.